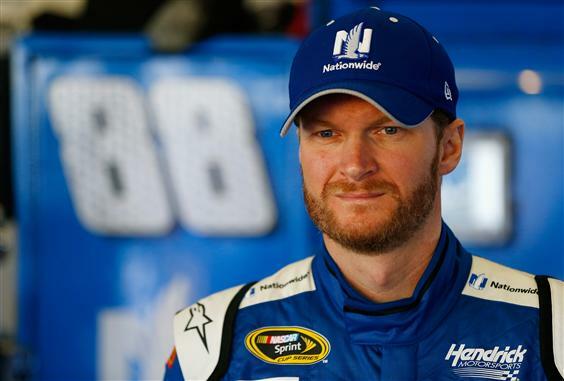 Dale Earnhardt Jr. will not compete in Sunday’s NASCAR Sprint Cup Series race at New Hampshire Motor Speedway after experiencing concussion-like symptoms, his Hendrick Motorsports team announced Thursday. In the release, the team said Earnhardt was evaluated this week in Charlotte and on Thursday was not cleared by physicians to race. Alex Bowman will be the team’s substitute driver this weekend at New Hampshire (1:30 p.m. ET on NBCSN). A timetable for Earnhardt’s return is still unknown. Bowman raced fulltime in the NASCAR Sprint Cup Series in 2014 and 2015, with a best finish of 13th at Daytona in July of 2014. He has competed in four NASCAR XFINITY Series races this season, all with Earnhardt’s JR Motorsports race team. This is the second time Earnhardt has pulled himself from competition for concussion-related issues. In 2012, he missed two races during the Chase for the NASCAR Sprint Cup after a wreck at Talladega Superspeedway. So NASCAR let a driver out on the track with concussion symptoms, and if he hadn’t raised a flag himself he would have been racing at NHMS this weekend as well. Shawn, is your contempt for organizations that profit off broken bodies strictly reserved for the NFL, or is there anything left in the tank for NASCAR? We know were your press passes come from, but at least the NFL has a strict concussion policy keeping players off the field when they have a concussion. NASCAR has nothing, as this situation with Earnhardt proves. This may give him an out. Is it just me or is really looking like he is not having much fun this year? I just read that if Earnhardt is not clear for Indy, Jeff Gordon will be in the car. I was curious about why he was not selected for New Hampshire since his Fox season is over. He should have gotten out a while ago.Just an average driver at best. I think I heard Gordon might have been out of the country on vacation so he would not be able to drive this week. Plus, by the time this was announced the cars were probably already on the way to Loudon. All they would have to do is take the seat out of Bowman’s backup Xfinity car and put it into Earnhardt’s Cup car. Jeff Gordon is in France right now. Team knew on Tuesday Earnhardt probably wasn’t going to race, which is when Bowman was fitted for the car. They just didn’t announce it until the end of the week.